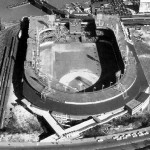 Located in Coogans Bluff in upper Manhattan sat one of baseball’s most hallowed ballparks, Polo Grounds. 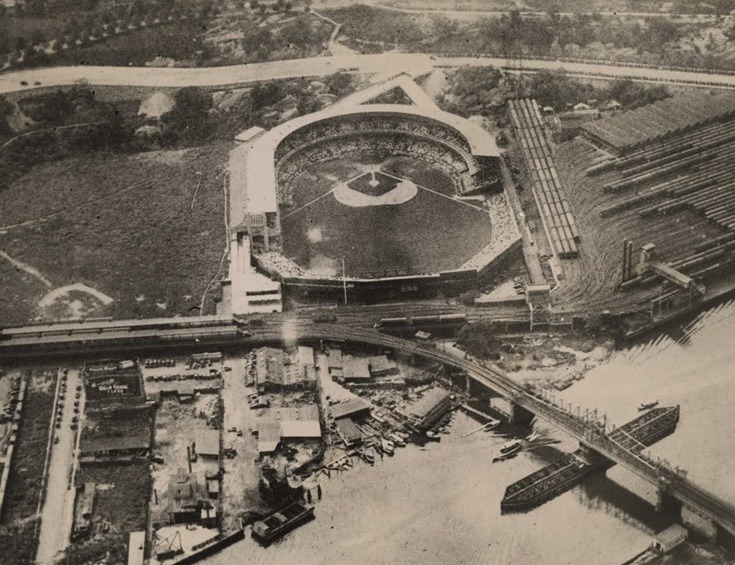 This unique and storied ballpark was home to many legendary players, championship teams and memorable sports moments throughout its storied history. 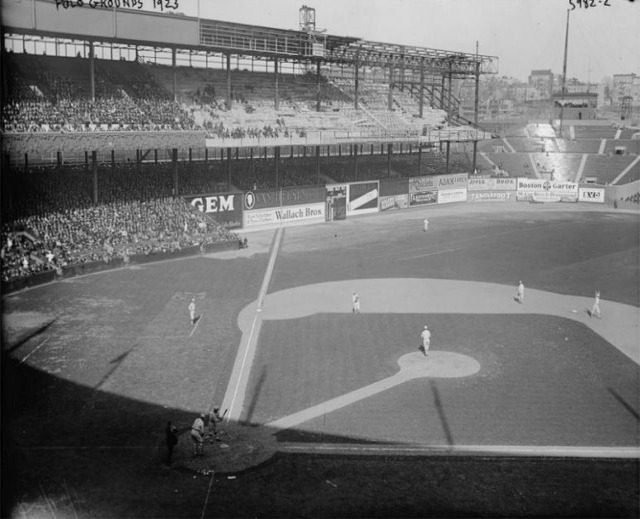 Polo Grounds was a name used on multiple ballparks dating back to the late 1800s. 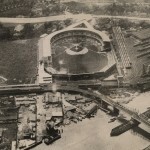 Named after the sport polo, the first Polo Grounds was located in the northeast corner of Central Park between 110th and 112th streets. Here in 1880, John Day rented land to construct a single tier grandstand for his baseball team to play at. 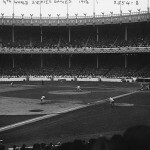 Originally known as the New York Gothams, the team played their first game here on May 1, 1883. 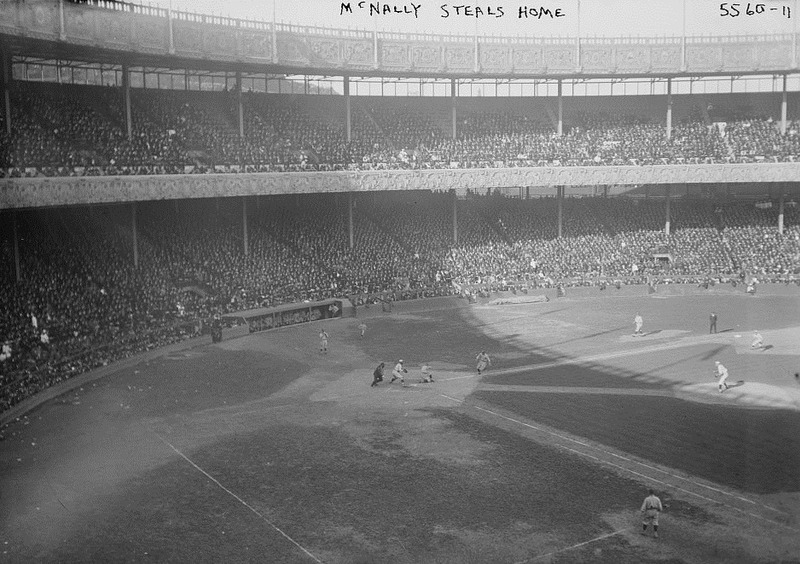 A second deck was added to the ballpark that year and the first Polo Grounds had a seating capacity of 12,000. 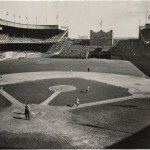 Renamed the Giants in 1885, the team played their last game here on October 13, 1888. 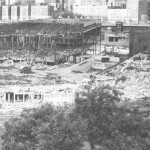 Manhattan officials evicted the team and 111th street was constructed through the outfield. 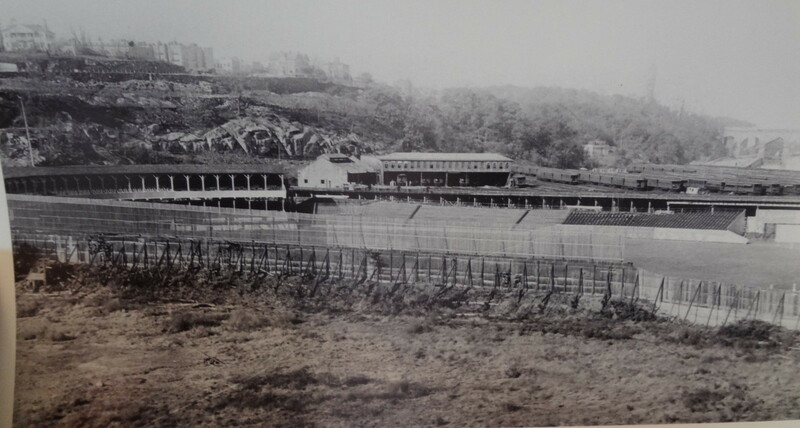 In 1889 the Giants moved to Coogans Hollow, a meadow below Coogans Bluff in Harlem, where the team played in several ballparks known as Polo Grounds over seven decades. 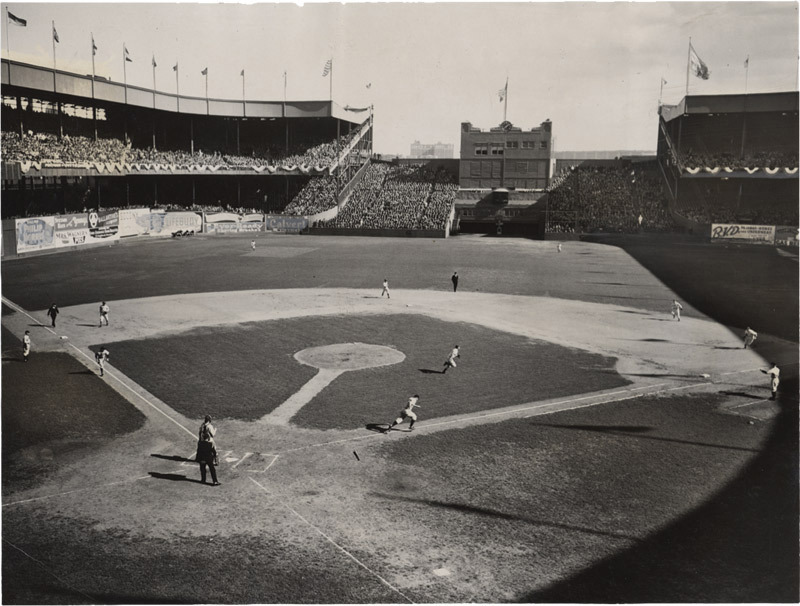 Located along 155th and 157th Streets along 8th Avenue, the Giants played their first game at the second Polo Grounds on July 8, 1889. 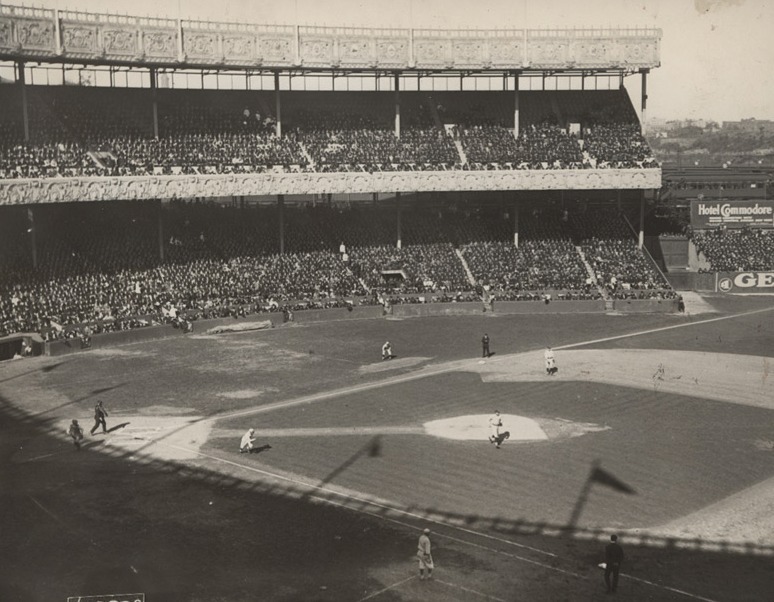 Located along 157th and 159th Streets was Brotherhood Park, home of the Players League New York Giants. 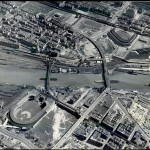 Located side-by-side, there were two ballparks, with two different teams that shared the same name. 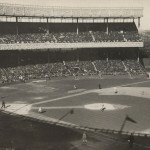 The Giants played their last game at the second Polo Grounds on September 30, 1890. In 1890 the Players League merged with the National League and the N.L. 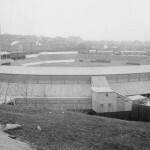 Giants bought and moved into Brotherhood Park in 1891. 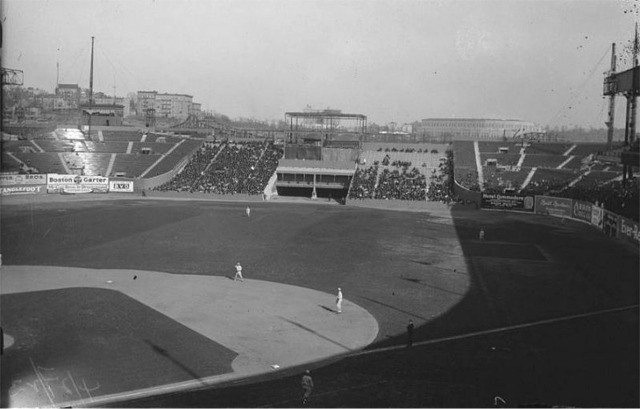 Renamed Polo Grounds, the Giants played their first game here on April 22, 1891. 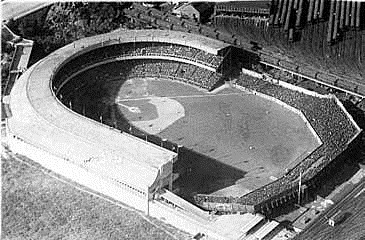 The third incarnation of the Polo Grounds had a seating capacity of 16,000. 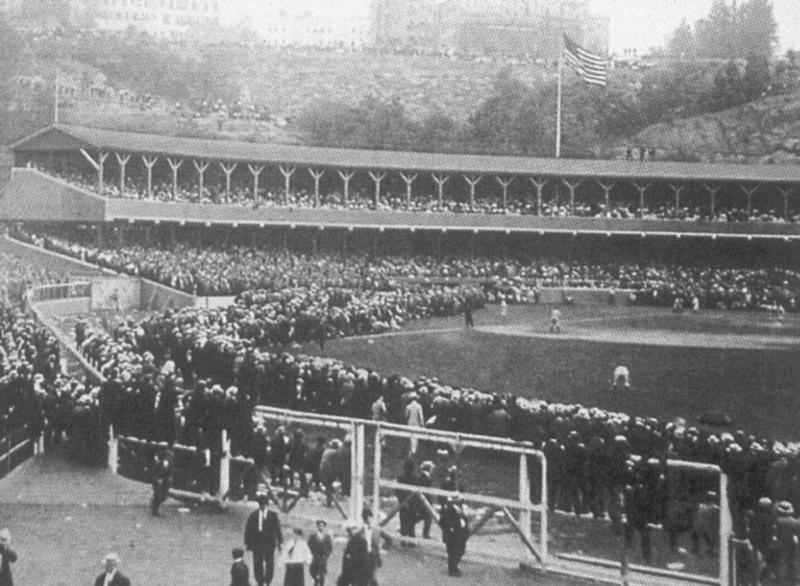 The main double decked grandstand arched around homeplate and down the baselines. 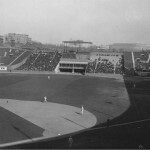 Bleachers were located in dead center field and 7,000 seats were added in 1908. 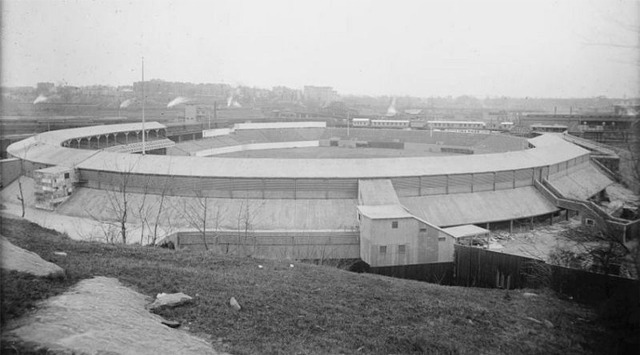 By 1911, the ballpark had a seating capacity of 31,000 and was the largest stadium in baseball. 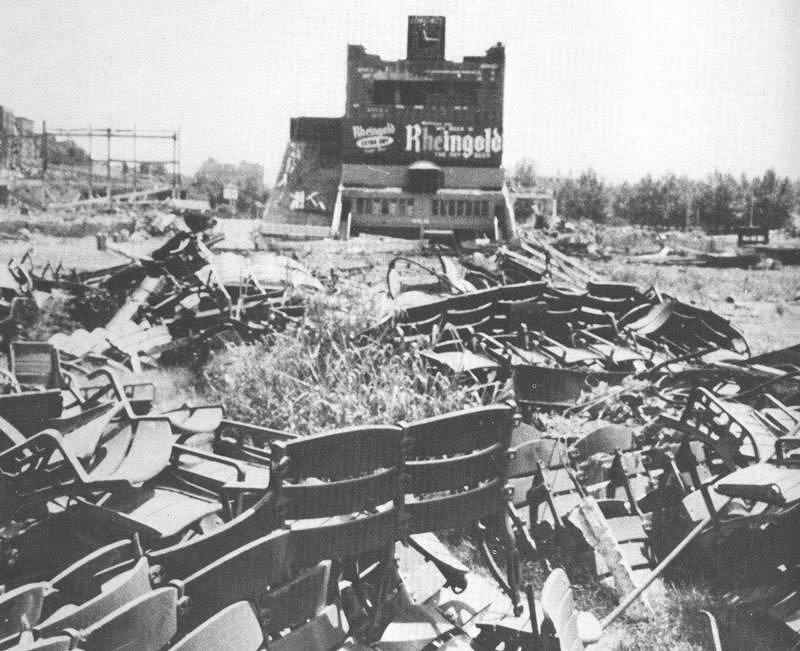 Built of mainly wood, the ballpark caught fire and burned while the Giants were out of town on April 14, 1911. 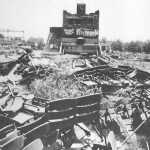 The ballpark suffered $250,000 in damage and was a complete loss. 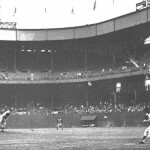 Willie Mays remarkable catch in the 1954 World Series. 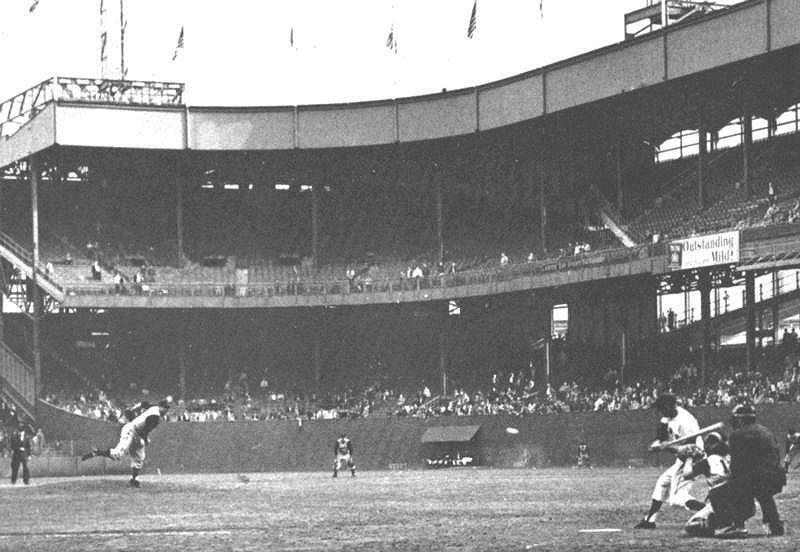 Bobby Thomson’s “Shot heard around the World” on October 3, 1951. 500th homerun by Mel Ott on August 1, 1945. 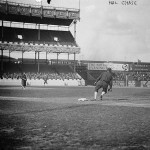 Giants 26 game winning streak came to an end on September 30, 1916. 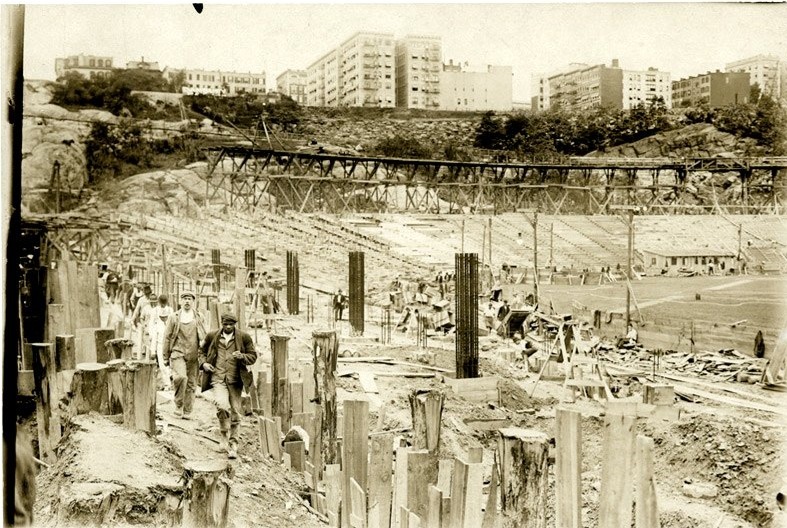 During this time, other teams in baseball were constructing ballparks of steel and concrete. 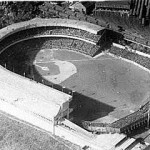 The Giants did the same and constructed the fourth and final Polo Grounds on the same location as its predecessor. 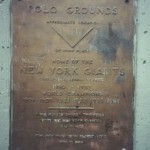 On June 28, 1911, the New York Giants played their first game at the partially completed Polo Grounds. 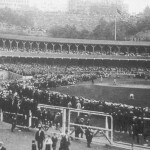 They had started the year at the New York Highlanders ballpark. 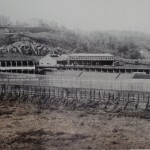 The grandstand consisted of 16,000 seats and by the end of the season the capacity grew to 34,000. 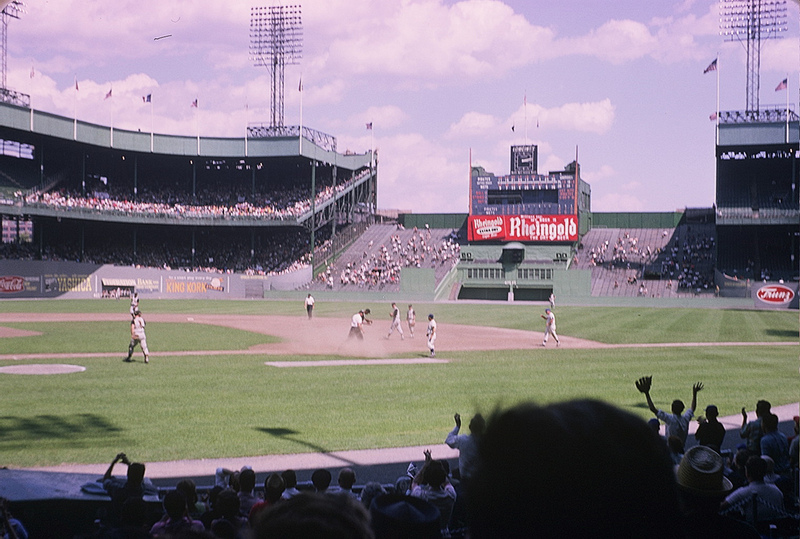 It featured a double decked grandstands extending from home plate, to half way down the left field line and 40 feet past the right field foul pole. 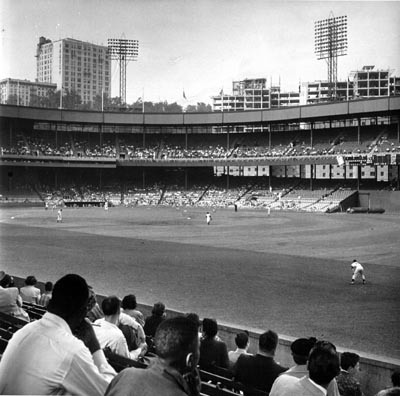 The ballpark had several distinctive features including an Italian marble facade and seats that had decorative iron scrollwork. 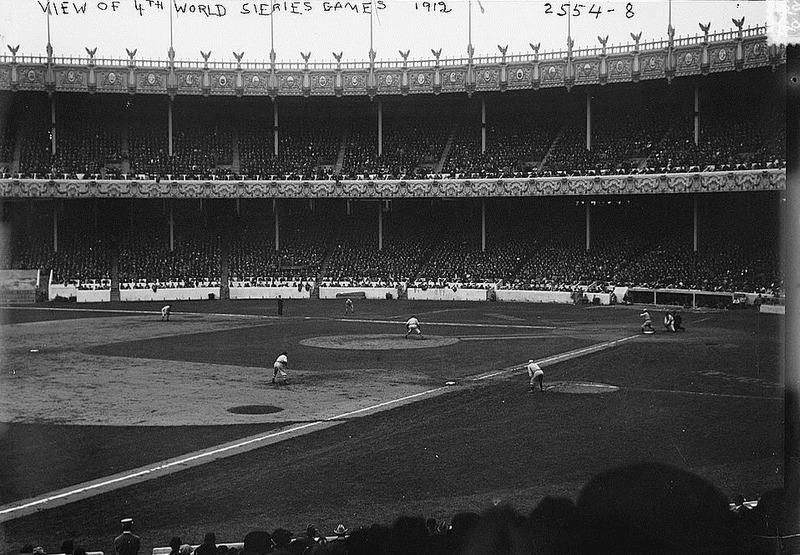 Polo Grounds inherited a new tenant in 1913 when the New York Yankees moved into the ballpark with the Giants. 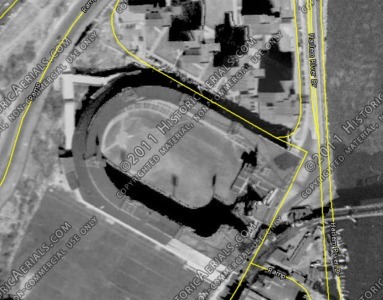 Although the distances were short down both lines to the foul poles, 279 in left field and 257 feet in right field, the distance to centerfield was 455 feet making it one of the longest in MLB history. 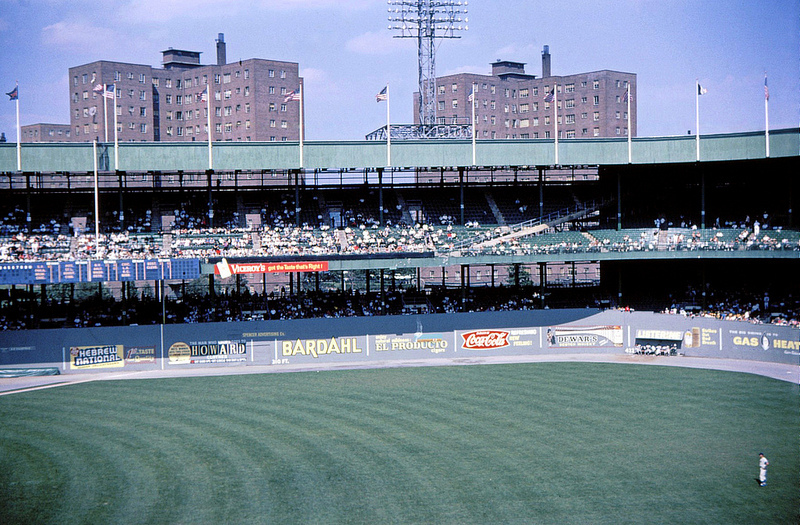 Polo Grounds was a hitters paradise with the exception of centerfield. A pop fly down the either line could become a homerun easily. With acquisition of Babe Ruth the Yankees became a huge success, winning many games at Polo Grounds. 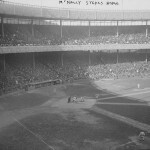 Owner of the Giants, John McGraw became angry when the Yankees began drawing more fans than the Giants at Polo Grounds. 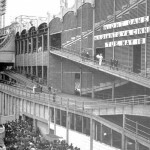 After the 1922 season McGraw evicted the Yankees from the ballpark, leading them to build the greatest stadium in sports, Yankee Stadium, just a quarter mile south of the Polo Grounds. 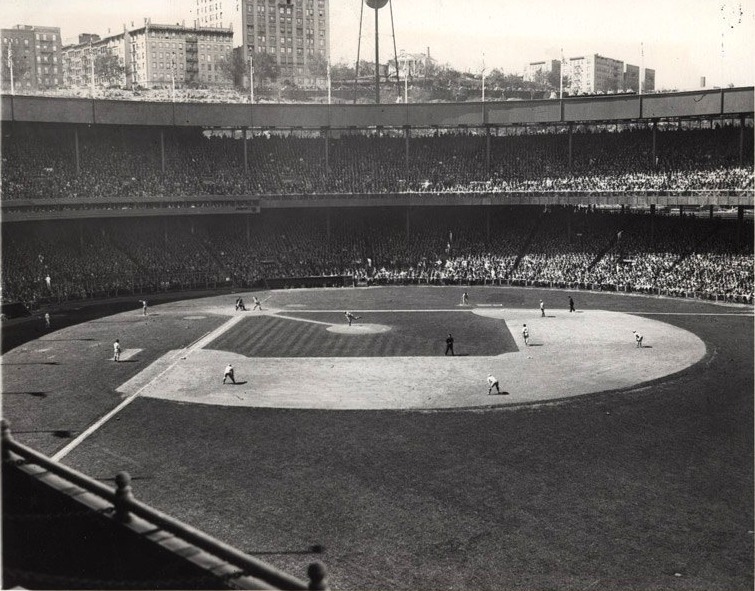 In 1922, Polo Grounds was enclosed except in centerfield increasing the capacity to 54,555. 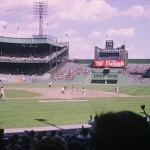 The grandstands were extended to the 2,300 bleachers that were on both sides of the clubhouse in centerfield. 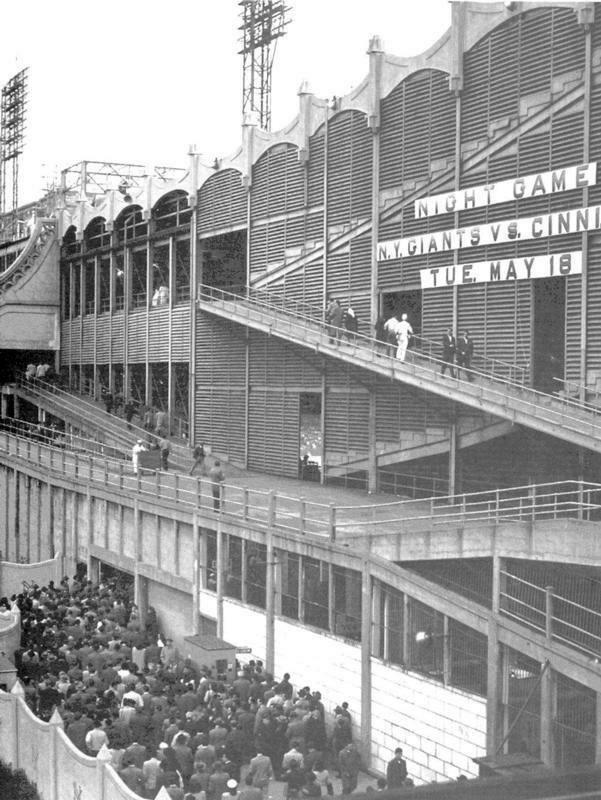 The left field upper deck overhung the playing field by 23 feet. 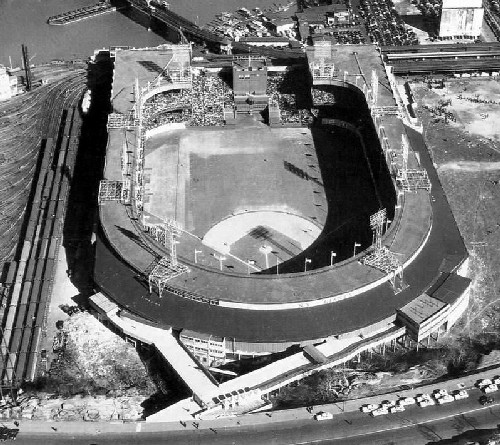 With this addition, Polo Grounds now looked like a horseshoe. 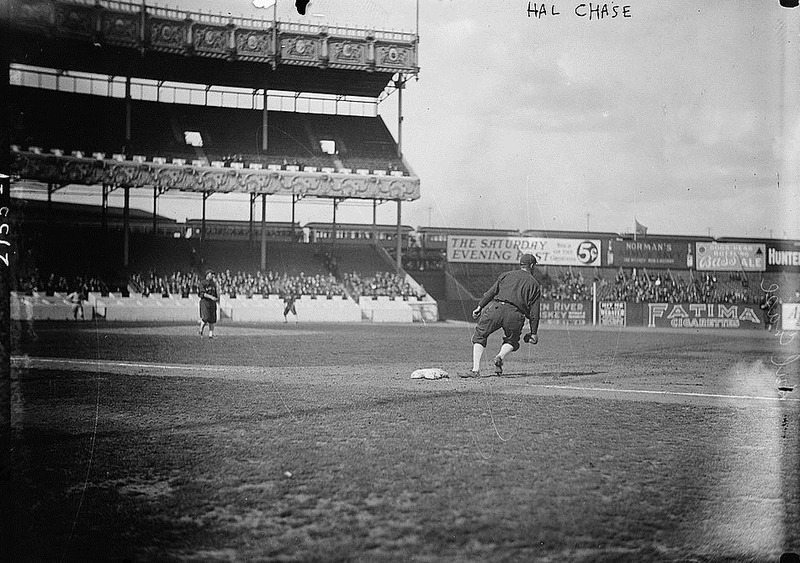 Round behind home plate, the sides did not run parallel to the foul lines, but rather to a line drawn from home to second, extending straight into the power alleys before curving toward the middle in deep left and right centerfields. 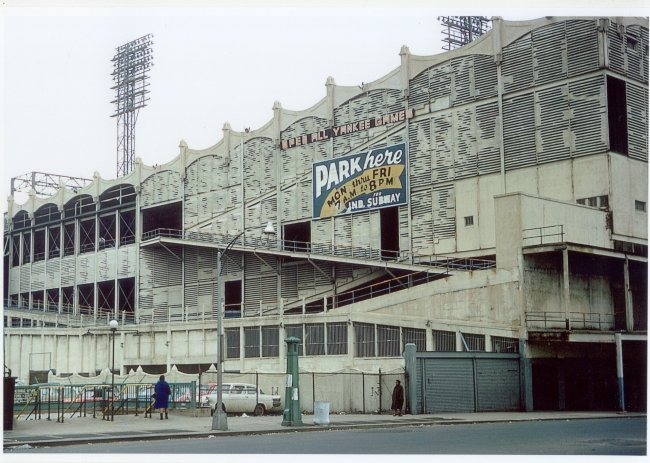 The center field wall ran straight across, except for a large cutout square in dead center that was the entrance to the clubhouses. 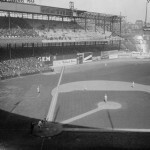 Because the centerfield wall was 450 feet from homeplate, at one time there was a flower bed in centerfield until manager John McGraw ordered it removed. The bullpens were in the outfield in play. 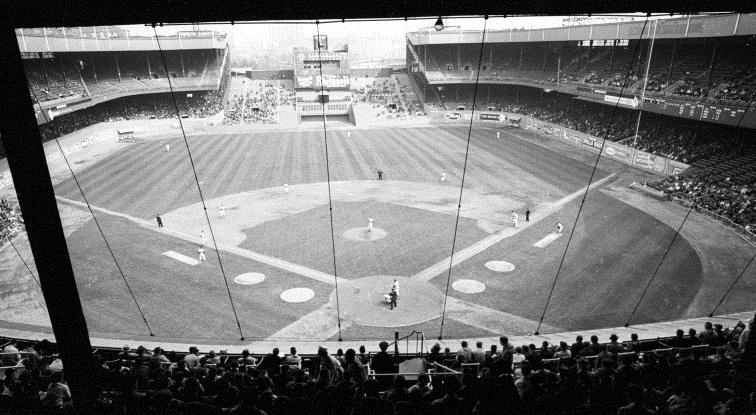 Polo Grounds changed very little during the rest of its tenure as a baseball stadium. 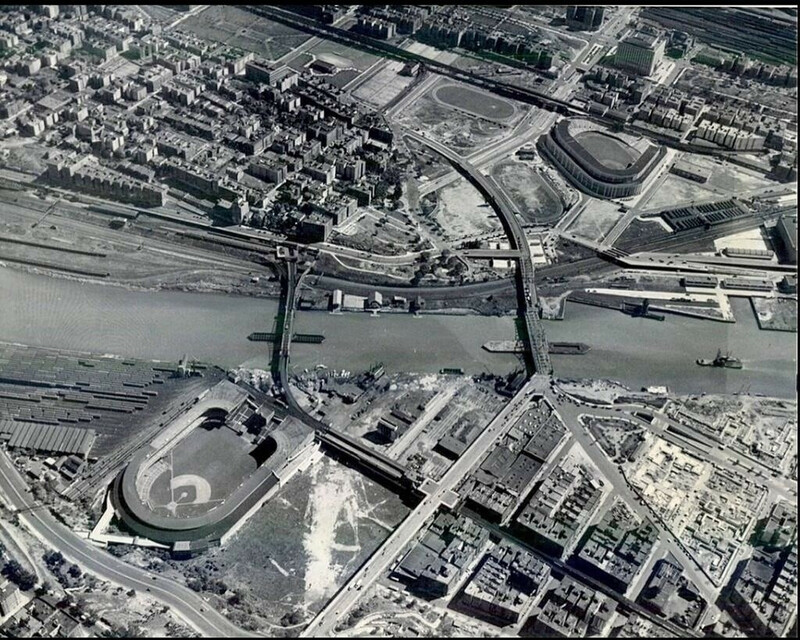 By the 1950s the Giants were struggling to attract fans, Polo Grounds was falling into disrepair and tenement housing was built surround the ballpark. 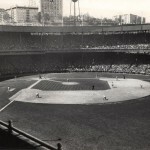 Due to these issues and failing to receive support for a new stadium, Giants owner Horace Stoneham announced on August 19, 1957 that the team would move to San Francisco the following year along with the Brooklyn Dodgers who would move to Los Angeles. 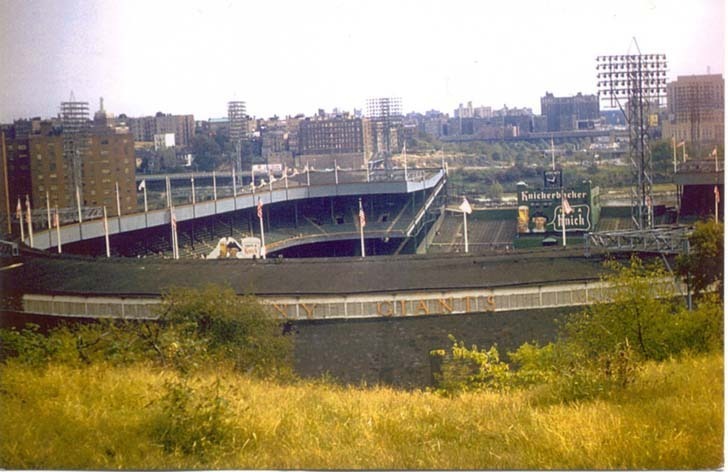 The Giants played their last game at the Polo Grounds on September 29, 1957. 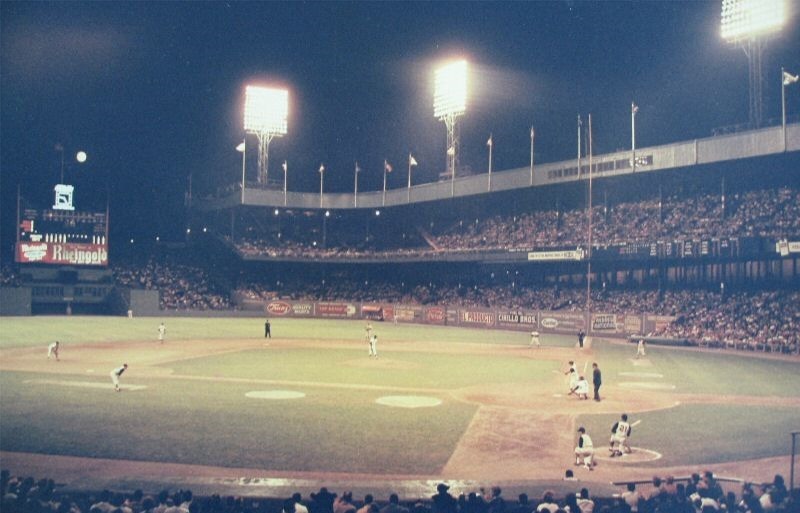 Polo Grounds was reprieved when MLB awarded New York an expansion franchise, the Mets, who would play at the ballpark while their new stadium, Shea Stadium, was constructed. 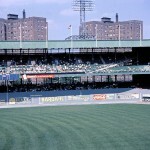 Nearly $300,000 was spent updating Polo Grounds that included installation of a new field, updated lighting and painting the ballpark in Mets colors of blue and orange. 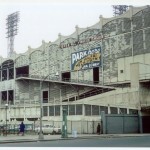 The Mets spent the 1962 and 1963 seasons here. 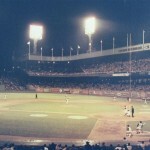 The final game ever at Polo Grounds was on September 18, 1963. 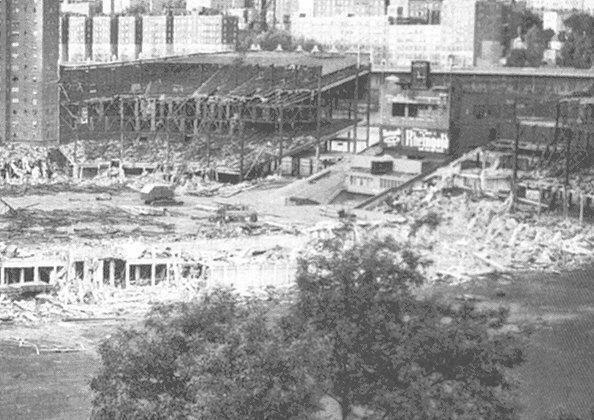 Polo Grounds was demolished on April 10, 1964. 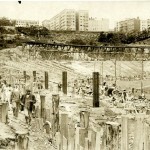 Several 30 story housing projects are located on the site where Polo Grounds was located. A plaque commemorates where the ballpark was once located. 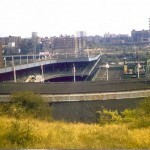 The only other reminder of Polo Grounds is the John T. Brush Stairway which leads down Coogan’s Bluff to where the ballpark was located. 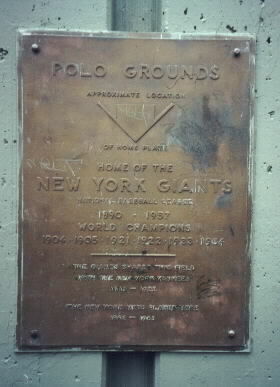 Polo Grounds was not only home to five championship New York Giants baseball teams, but home to the New York Yankees from 1913 to 1922, the New York Giants football team from 1925 to 1955, the New York Titans/Jets from 1960 to 1963. It was also the site of many famous boxing matches including the 1923 heavyweight championship between Jack Dempsey and Luis Firpo. – Location: Along Eighth Avenue, Harlem River Drive, West 159th St.